Founding Farmers – Washington D.C. 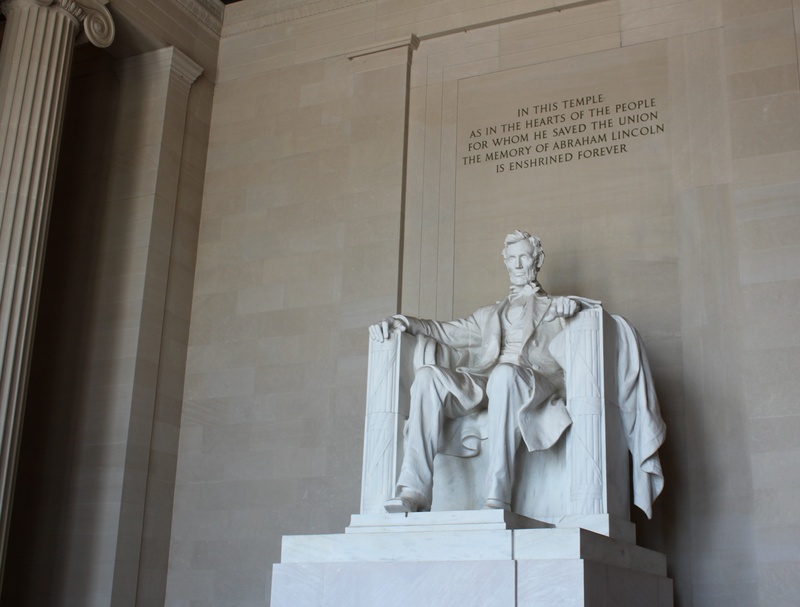 I made a trip to Washington D.C. recently and despite the heat managed to see quite a lot. I can’t believe it took me so long to get to the capital but better late than never, right? Seeing the National Monument, Vietnam Veterans Memorial, Bill of Rights, Declaration of Independence and the Star-Spangled Banner flag in person was amazing. Of course after trekking across D.C. I needed to find a good place to eat. Enter Founding Farmers, a few blocks from the White House in Foggy Bottom and my favorite restaurant in D.C. I was lucky to get a last-minute reservation and was happy because when we showed up it was packed. Living up to its name the restaurant is owned by farmers who strive to be, “… a place where true, sustainably farmed, grown and harvested American foods are brought to our guests.” In addition, the restaurant is LEED certified using reclaimed wood, poured-concrete bar tops, low and no-fume paints. The design is very welcoming with a touch of industrial. 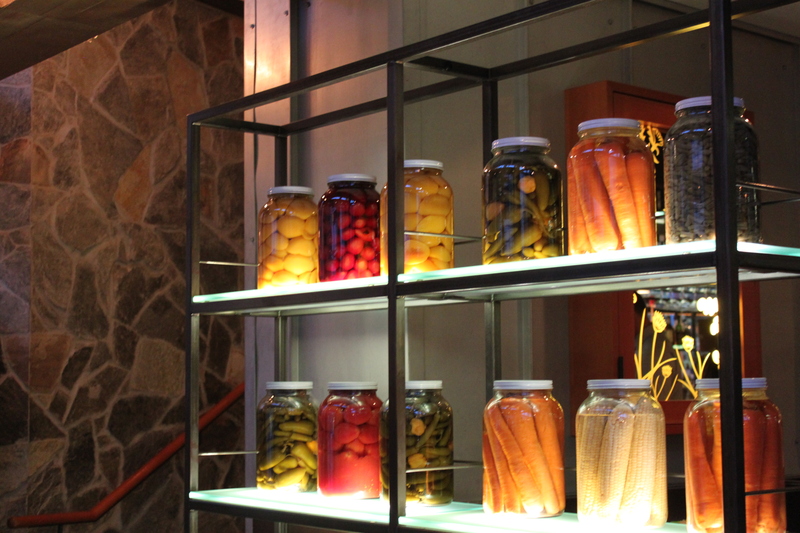 A colorful arrangement of jars filled with various vegetables greet you in the front door. Puffy clouds line the ceilings to balance out the concrete and steel. While waiting for our table we decided to try the craft cocktails and found out why Founding Farmers was the 2011 winner for the Best Beverage/Mixology program in D.C. 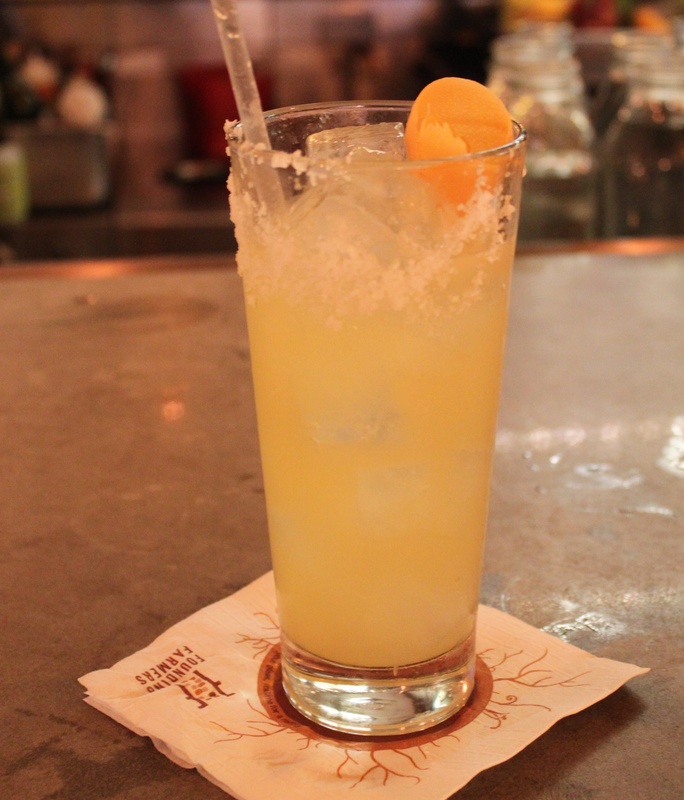 The Clementine – Clementine and chili-infused El Jimador Reposado Tequila, Benedictine, lime and pineapple juices, agave nectar. Fresh juices gave this drink a refreshing and light taste. We found a spot at the bar and decided to forgo our table as we kept seeing plate after plate of beautiful food being served and we were h-u-n-g-r-y. I know deviled eggs are on every menu these days but these were a stand out. 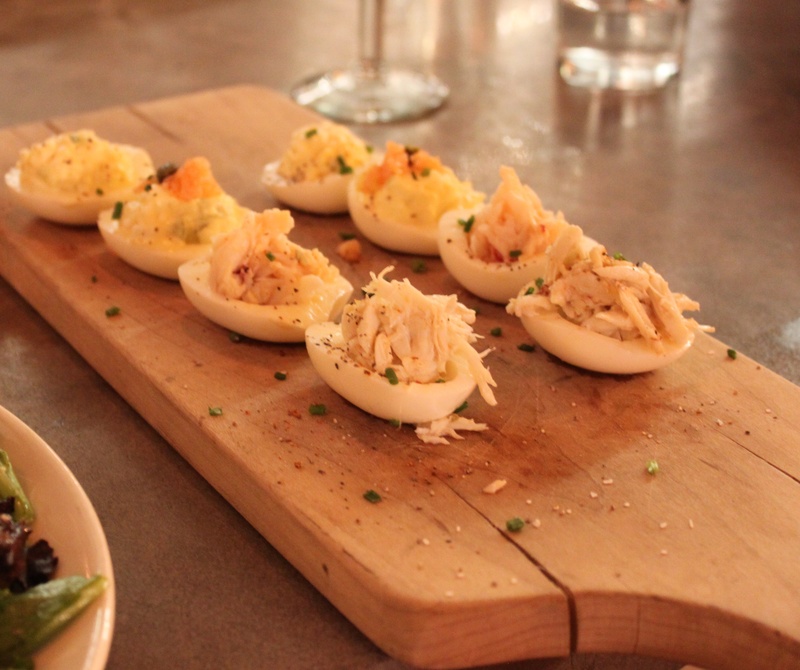 We got the Devil-sh Eggs Combo of Maine Lobster, Crab and Smoked Salmon. Absolutely delicious and fresh, real fish. I would have ordered more but saw so many other things on the menu I decided to hold off. It was very hard to decide what to order as the menu is pretty extensive. 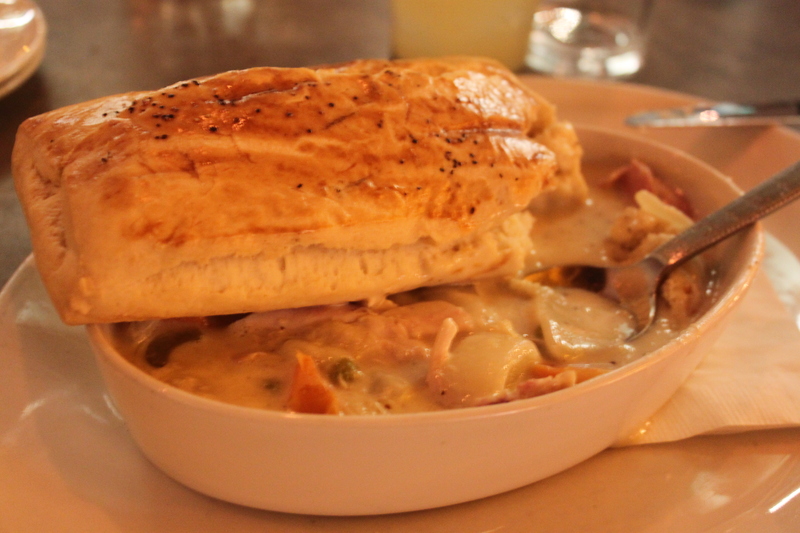 I went total comfort food and got the chicken pot pie and was not disappointed. The best pot pie I have ever had. Not only was the sauce and fresh vegetables memorable but the biscuit/crust that came with the dish was like nothing I’ve ever had. First of all, it is huge. Secondly, perfectly crusty outside and warm and soft inside with the right amount of butter. Heaven. Another staple of American dining the Land and Sea with the scallops (choice of crab cake, scallops or fried shrimp). Again, quality meet and fresh scallops cooked to perfection. 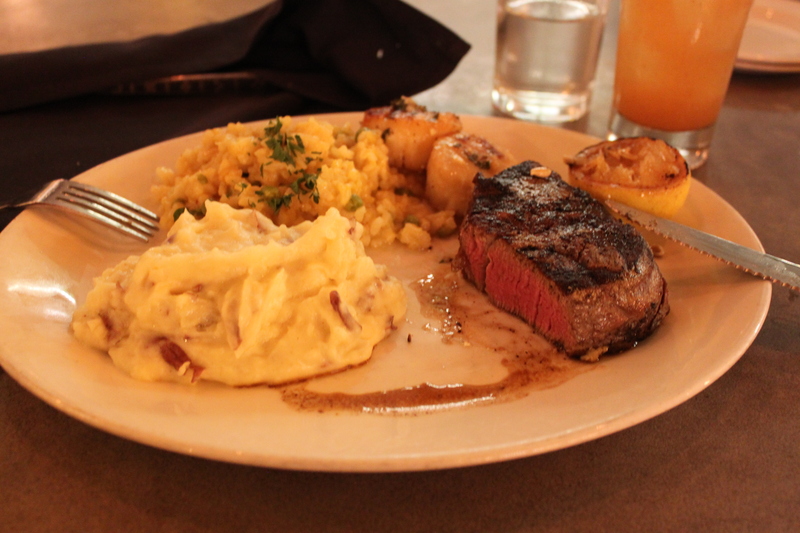 The mashed potatoes were completely ridiculous (in the best way) and the cheesy risotto held its own against the rest of the perfection on the plate. For dessert we tried another cocktail, La Paloma. 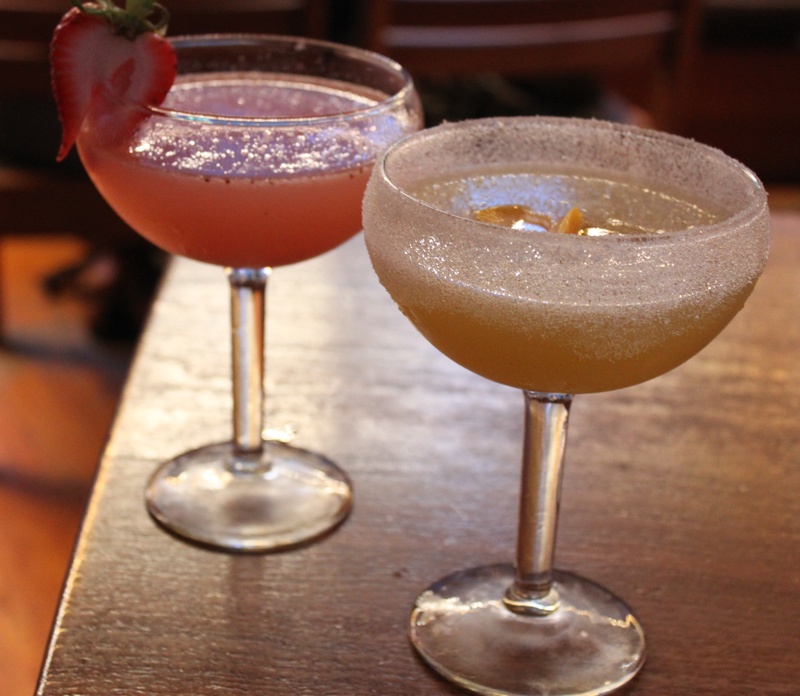 Served spicy or mild with El Jimador Blanco Tequila, grapefruit and lime juices, agave nectar, topped with mezcal. I’m glad we had this at the end of the meal because it would have been too tempting to have more than one of these. I had the mild version so it was sweeter while the spicy is, you guessed it more spicy. After dinner we took a stroll by the White House and then looked for a place for a nightcap. 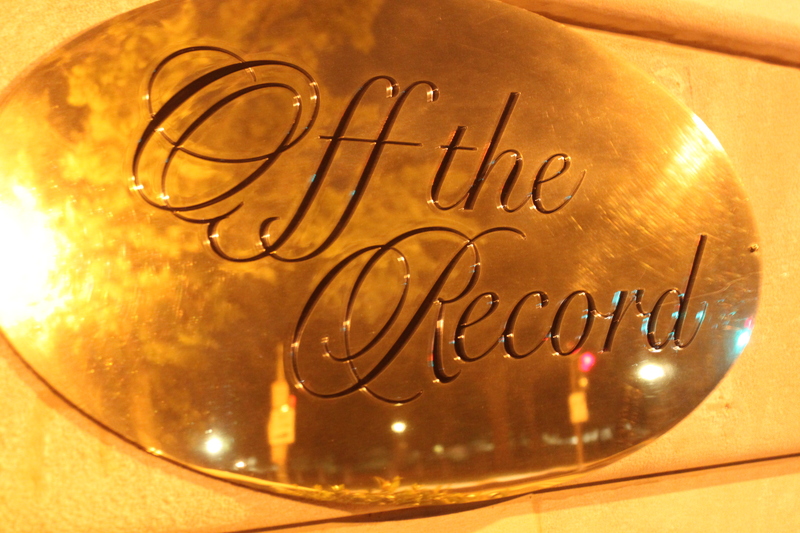 We stumbled upon Off The Record in the The Hay-Adams hotel. You descend down to a dark bar where you can imagine many “off the record” political conversations and whispered gossip have taken place. Rich reds and black color the room with cartoon caricatures of past and current politicians. The bartenders give off a very old school vibe and serve a solid drink. I really can’t confirm or deny anything that happened there.